People worldwide choose to purchase their melting tank, pot tippers, soap filling systems and soapmaking machines from SoapMelters even with high shipping costs, tariffs, taxes and simply the time and extra work involved with shipping equipment overseas. Think of the trust involved. Think about reliability and problem free equipment. People around the world trust SoapMelters for their melting tank and soap making equipment needs- you should too! Value: Our innovative supply chain systems provide our customers with the most proficient, reliable and maintenance free systems at the best price. Guaranteed. Reliable, Durable & Maintenance Free: Each system is of superior quality, designed to provide years of reliability with increased production. We use only the highest grade stainless steel in our melters, melting tanks and finest grade parts and materials, combined with the highest quality workmanship in designing all our products. Easy to Use: Our melting tanks and filling equipment are designed for easy and immediate use to enhance your production from the start. Flexibility: Our filling systems are compatible with most existing melters and all our melting and dispensing equipment easily replaceable components to minimize downtime and/or readily reconfigure your system to meet future needs. We purchase our water jacket melter and EZ system from Melting & Filling Equipment for our ointment and balm business. We are more than satisfied with the system and hope to purchase more this year! The whole system is easy to clean and handle. We had no trouble dealing with Customs and Excise and only paid a small import levy. We have been more than satisfied with the communication and friendly service that we received from the other side of the world- and would happily recommend Melting And Filling Equipment, Inc. to any one seeking great reliable products and good service. All equipment (melters, melting tanks, EZ Soap systems, Autoshot systems, transfer systems and EZ-Mix agitators) are or can be configured for 220V on the options section when ordering. In regard to hz, our equipment is 60hz, but when moving to 50hz it has no effect on our melting or filling systems. 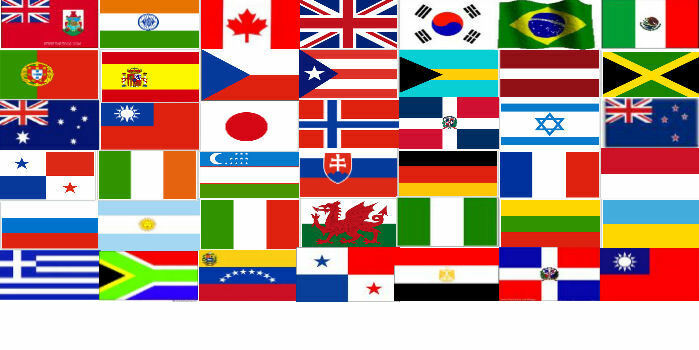 We have sold units to many countries and all parts of the world with excellent results.